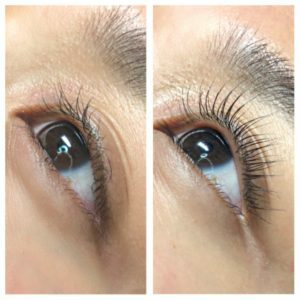 Lash extensions come in a variety of fibers, the most common these days being synthetic mink lashes due to it being the softest and most natural feeling. 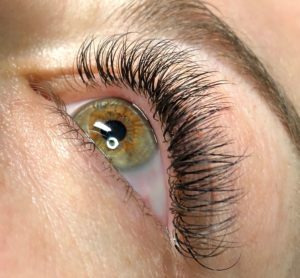 As well as this, extensions also come in many different lash curls, lengths and thicknesses which all play an important factor in how a finished set of lash extensions will look on each client. If you are looking for a more natural everyday look, our Natural Set of eyelash extensions is the way to go. Natural eyelash extensions will make your eyelashes look fuller, longer, and curled without the need for mascara and an eyelash curler. Volume eyelash extensions are great for those who want to enhance their eyes with a fuller look. If you really want to make your eyes pop, our mega volume eyelash extensions may be the service you want. If you get natural eyelash extensions and decide you want at little more fullness to the look without going to volume, our Glamorous (hybrid) option can give you the desired look you are going for. A full set of lashes, where your healthy natural lashes are applied. They appear like your natural lashes, but better! They're longer, more defined, and lusher than lashes on their own - but still maintain the effortless, weightless look. This involves the process of carefully applying a single extension fiber to a single natural healthy eyelash at approximately .5 of a millimetre away from the eyelid skin making it very precise work that requires a great deal of concentration. A typical full set of Classic lashes can vary from having 100 to 150 extensions per eye depending on the clients desired look and of course how many natural healthy lashes they have to begin with and need to be maintained every two- three weeks with Basic Fills. Over 4 weeks is considered a new set. Get a full consultation along with 2 hours of lashing, which will give you as many lashes as time permits. Add a subtle hint of color to your lashes. Available in Pink, Blue, Purple, and Brown. A full set of Glamour lashes, where every single one of your healthy natural lashes are applied to. For those that has sparse lashes, we may apply 2 light weight extensions (2d’s) onto every single one of your healthy natural lash, creating an ultra-thick look that makes eyes pop, or 50% Natural Lashes ( One on One application) and 50% Volume Lashes (Hand made fans). The art of MEGA volume is a highly skilled technique that is an advanced upgrade from the Russian volume technique. The application of MEGA volume requires a different technique to ensure that each volume fan has perfect balance for the health of the natural lash and improved retention. Creation of MEGA volume requires precise and perfectly spaced fans(up to 10 lash fan) for that extra dense and precision effect, with the use of the thinnest volume extension available to the industry. Your lashes will naturally shed 1-3 lashes per eye, per day. Regular fills are highly recommended every 2-3 weeks to maintain the fullness of the lashes should you wish to continue wearing eyelash extensions. Must have at least 40% of extensions retaining to be considered a touch up. Anything after 4 weeks will be considered a full-set. Volume touch ups will be required for Russian Volume every 3-4 weeks. Must have at least at least 40% of extensions retaining to be considered a touch up. ****Please note you must have at least 40% of your lashes left for a fill in. For every client you refer* who schedules with us you will receive 20% off your following touch up. *Referred client must attend their scheduled appointment before you receive the discounted touch up. A lash lift takes your natural lashes and curls them at the base, creating a beautiful curl that lasts 6-8 weeks. Its great for those who are allergic to eyelash extensions or those who simply don't like the maintenance of curling their lashes everyday. NO damage, No maintenance!! Upgrade your lash lift service with a tint to make your lashes extra dark! No mascara will be needed after this treatment! Tint your lashes to make your lashes extra dark! No mascara will be needed after this treatment! A lash lift takes your natural lashes and curls them at the base, creating a beautiful curl that lasts 6-8 weeks.